If you want to put an aquarium in your living space, you need to consider a few things to pull the look successfully. 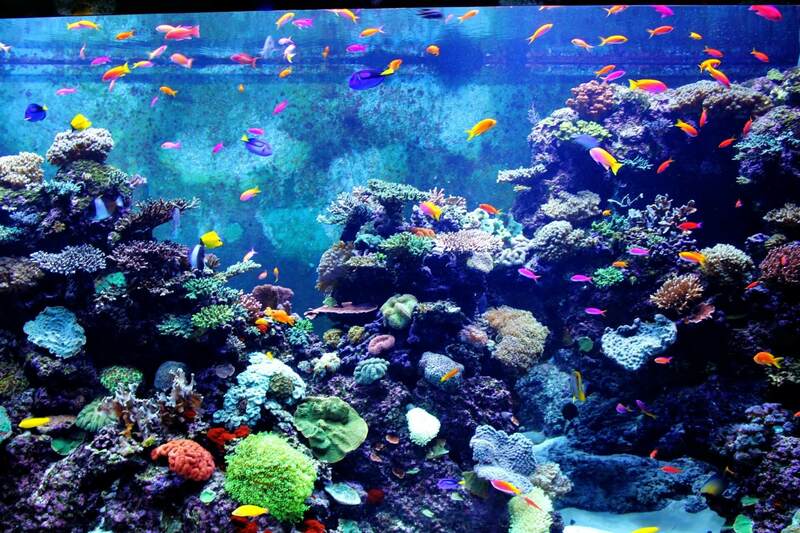 Following, we are sharing a guide that will help you make an impression with your aquarium. Where You Want to put it? Consider your current décor. If your space already has a hectic design then doesn’t use bright colors in your aquarium. When choosing the room, make sure the fish is comfortable there was well. Mind the temperature because temperature fluctuation can harm the fish. So, don’t install it near the stove, radiator, air conditioner or windows. Consult a design expert if you can’t make your mind. Despite where you choose to put it, make sure it fits well and becomes the center of attention. You want it to draw a lot of attention to make it vibrate, consider the size and shape. Make a statement by putting it in the center of your room. Use a large full cylinder shape aquarium which you can view from any angle. Not all aquarium draws much attention. But they do add life to a dull space. There is the various way you can make your aquarium more attractive like being able to see through the other size. You can use it as a divider between sections. This creates a unique separation while maintaining the open space vibe. When you choose a shape, pick something that will accent the shape of your room. For instance, if you will put the aquarium in a corner, use a shape that will hug the corner like a pentagon or corner bowfront. Moreover, a full cylinder will be great for a room with rounded walls. Today, you have more options than ever. You even have several options for materials. You can choose between Glass and Fiberglass. Following, we will explain both their benefits to help you make a well-informed decision. The glass is a great choice if you want something strong and scratch-free. It is ideal for hectic commercial settings. If you are afraid that people are going to bump into your aquarium and scratch it, glass is your choice. It is ideal for large, and custom shaped aquariums. It is malleable and shatterproof as compared to glass. Moreover, it offers a more unobstructed view. It makes an excellent sizable aquarium. There is just one downside; it scratches more frequently. If you can’t make your mind, refer to this aquarium guide.